RIMOUSKI, Que. 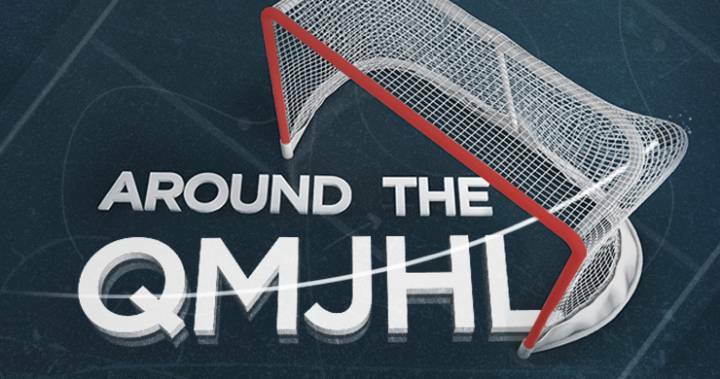 – D’Artagnan Joly scored 9:15 into the fourth overtime period as the Rimouski Oceanic beat the Chicoutimi Sagueneens 3-2 on Saturday, taking a two-game lead in their first-round Quebec Major Junior Hockey League playoff series. Rimouski’s Cedric Pare tied the game with 1:04 left in the third period to force the extra frames. Dmitry Zavgorodniy scored in the first period. The Oceanic peppered Chicoutimi’s Alexis Shank with 83 shots total, including 41 over the first three overtime periods. Theo Rochette had both goals for the Sagueneens, who briefly took a 2-1 lead at 16:42 of the third period. Colten Ellis made 53 saves for the victory. The best-of-seven series shifts to Chicoutimi for Game 3 on Tuesday. SHERBROOKE, Que. — Samuel Poulin capped a hat trick with a power-play goal late in the third, Dakota Lund-Cornish stopped 17 shots and the Phoenix blanked Blainville-Boisbriand in Game 2 to even their series. Alexandre Joncas, Bobby Dow and Nathan Roy also scored for Sherbrooke. Brendan Cregan stopped 38 shots for the Armada, who host Game 3 of the best-of-seven series on Tuesday. BAIE-COMEAU, Que. — Elliot Desnoyers’ second goal of the game stood as the winner as Moncton downed the Drakkar in Game 2 to even their first-round series. Alexander Khovanov, Jacob Hudson and Mika Cyr also scored for the Wildcats, who host Game 3 on Tuesday. Ethan Crossman and Samuel L’Italien replied for Baie-Comeau. CHARLOTTETOWN — Daniel Hardie scored two goals and set up another as the Islanders took a 2-0 lead over Cape Breton in their first-round playoff series. Kevin Gursoy, Nikita Alexandrov, Lucas Cormier and Zachary Beauregard, into an empty net, provided the rest of the offence for Charlottetown. Mathias Laferriere, Mitchell Balmas, Leon Gawanke and Kyle Havlena scored for the Screaming Eagles, who host Game 3 on Tuesday. DRUMMONDVILLE, Que. — Maxime Comtois scored a hat trick to power the Voltigeurs over Gatineau for a 2-0 lead in their series. Gregor MacLeod also scored for the Voltigeurs and Xavier Simoneau added two assists. Mathieu Bizier replied for the Olympiques, who host Game 3 on Tuesday. HALIFAX — Luke Kutkevicius scored 11:40 into overtime to lift Quebec past the Mooseheads for a 2-0 lead in its playoff series. Andrew Coxhead scored twice for the Remparts, who host Game 3 on Tuesday night. Jeremy Laframboise and Sam Dunn had the other goals. Arnaud Durandeau led Halifax with a pair of goals and Maxim Trepanier and Raphael Lavoie also scored. ROUYN-NORANDA, Que. — Mikael Robidoux scored 18:23 into the third period to lift Shawinigan over the Huskies in Game 2 to even its series. Vincent Senez, Mavrik Bourque and Leon Denny also scored for the Cataractes, who host Game 3 on Tuesday. Justin Bergeron, William Cyr and Peter Abbandonato had goals for Rouyn-Noranda.